10. Are You Missing Me? The Liechtenstein formation ELIS featuring front lady Sabine Dünser began their musical career under the name ERBEN DER SCHÖPFUNG. 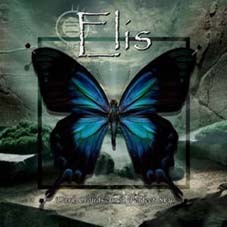 In 2001 they released their first single "Elis" as well as their debut album "Twilight", thrilling the hearts of symphonic metal fans worldwide. The music found on the aforementioned releases oscillates from clear vocal lines to the sharp attacks of guitars and the driving beats of the rhythm section. A mélange of classical and electronic elements compliment the doom metal concoction, adding a distinctive feature to the already memorable compositions. Following their split with Oliver Falk, Sabine Dünser and co. re-emerged in 2003 under the new alias ELIS, yet still quite capable of an impressive showing, as their debut proved. Skilfully produced at Mastersound Studio by Alexander Krull (Atrocity), "God's Silence, Devil's Temptation", boasts of a heavy yet clear production. The album was simultaneously released on NAPALM RECORDS with the re-release of ERBEN DER SCHÖPFUNG’s 2001 debut, "Twilight". 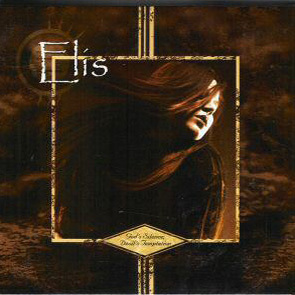 Soon after the release of "God's Silence, Devil's Temptation", ELIS focused their energy on writing new material for their second offering. Between their song writing and recording duties, they found time to tour in a headlining capacity with label mates Eisheilig and The Vision Bleak. The tour took them to Germany, Switzerland, and Belgium. In March they returned to the studio, under the guidance of band manager and producer Alexander Krull (Atrocity, Leaves’ Eyes), to record the twelve new tracks featured on their second release " Dark Clouds in a Perfect Sky". ELIS’ October 04 release is a collection of exceptional bombastic songs that find a perfect balance between heavy riffs, varied arrangements, multi-faceted vocals, and heavily exploited guitar work. "Dark Clouds in a Perfect Sky" perfectly documents the band’s musical development and growth, and has emerged as an energy-laden, sophisticated work. A video clip for the album’s opener “Der Letzte Tag” will accompany the release. The band offered a preview of the new material during festival performances at the Wave Gotik Treffen and M’era Luna Festival. Further opportunities to experience the new album live are planned for October, as the band embarks on an European Tour with Atrocity, Leaves’ Eyes, and Battlelore. Sadly, during rehearsals on July 7, 2006, singer Sabine Dünser suffered a cerebral hemorrhage, dying 1 day later. They decided to continue the band in memory of Sabine Dünser, and will soon release the new album called " Griefshire". At the official homepage they informed that "release date will be the 24. November '06 for Europe and the 16. January '07 for the US." The musicians also explained that they're going to start looking for a new vocal, which concerns the future of the band itself. On December 28, 2006 they announced that their new vocal is Sandra Schleret (ex Dreams of Sanity, Siegfried).